Confirm that there are no mechanical problems because this dtc can be output when either a damper link or damper is mechanically locked. Turn the ignition switch on and turn the intelligent tester main switch on. Select the items below in the data list, and read the value displayed on the intelligent tester. Ok: the display is as specified in the normal condition column. 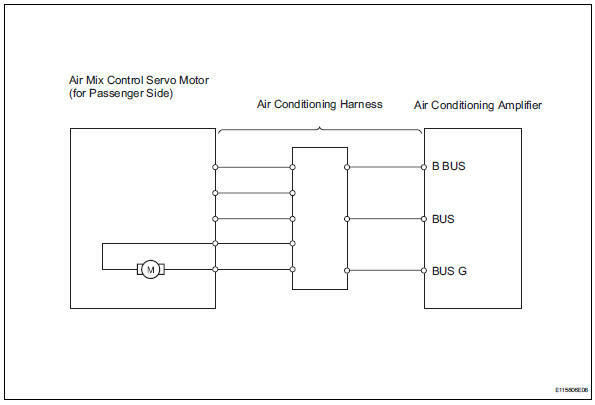 Since the servo motor cannot be tested when it is removed from the vehicle, replace the servo motor with a normal one and check that the condition returns to normal. Ok: same problem does not occur.